Created in 2005, YouTube is now the biggest online video sharing website in the world. As great as it may sound, YouTube doesn’t provide viewers with the option to download videos from it. If you happen to find a video you like on YouTube, can you download it? No, not without the help of a third-party application. With that being said, as long as you can find the right app, you can still easily download videos from YouTube. When people want to download YouTube videos, it’s mostly for watching on mobile devices like iPad without internet connection. So you might want to know how to download YouTube videos to iPad using computer or even how to download YouTube videos on iPad with a YouTube video downloader. In fact, it’s easy. With the right program, you can easily download YouTube videos to iPad on your computer. Or using a YouTube downloader for iPad, you can directly download YouTube videos on iPad. In this post you could find several ways to download YouTube videos to iPad and apps that can help you download YouTube videos on iPad. The first way to download YouTube videos to iPad is to download YouTube videos to computer and then transfer them to iPad. And to do that, we are going to need a third-party video downloading app. I would recommend to you Leawo Video Downloader. It’s an online video downloader that’s capable of downloading videos from a bunch of popular online video sharing websites like YouTube, Vimeo, Hulu, Dailymotion and facebook, etc. And to make things easily, it can download MP4 format videos directly from YouTube, which means you don’t need to spend extra time converting the downloaded video to a format compatible with iPad. Below are the instructions for downloading YouTube videos using Leawo Video Downloader for your reference. Here’s Leawo Video Downloader’s official site, you’ll need to download the program on it install the program on your computer. 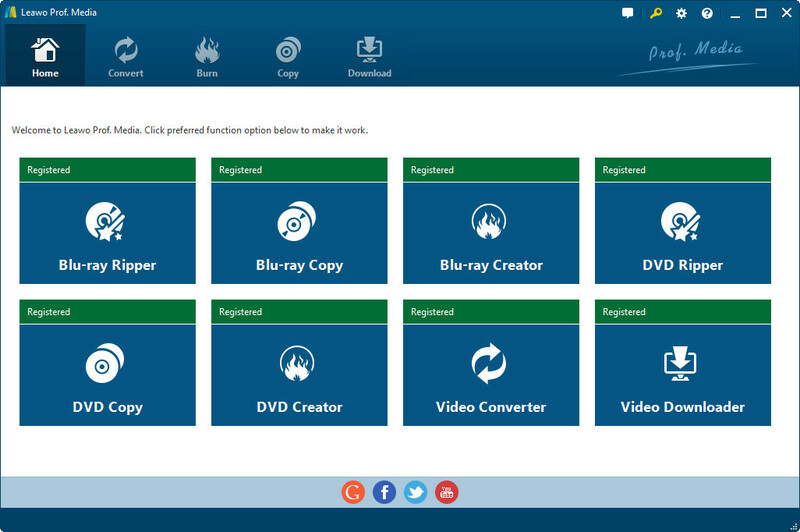 The program is included in a software bundle: Prof. Media, just open the program and click the Video Downloader tab to open the downloader. When you enter the video downloader, the built-in web browser would open YouTube.com automatically by default, you can change it to other websites in the settings. You can directly watch video on YouTube or input/paste a new link in the address bar to open a new link. This YouTube downloader would detect all the downable video sources on the current page and provide you with the option to download them. The downloadable video sources would be listed on the sidebar on the right. If you can’t find the sidebar, click the button in the middle of the scroll bar on the right to call it out. Click the Download button on the desired video source to download the video. All the downloading tasks would be listed in the Downloading Tab, and when the downloads are finished, check them out in Downloaded Tab. If you want to go back to the video page, just click on the address bar. After you’ve downloaded the videos you want, you can transfer them to iPad. Normally people would choose to go with iTunes, but for people who’s frustrated with the complexity of iTunes, I would provide to them a new option. Leawo iTransfer, a dedicated program for data transfer between iOS device and PC, offers a much more user-friend UI for users. Instructions for transferring the downloaded YouTube videos to iPad using Leawo iTransfer. FYI, the program can not work without iTunes. 1. Open iTransfer and connect your iPad to your PC with USB cable. The program would recognize your iPad and scan the contents in it automatically. And then the library of your iPad would be shown on the left sidebar. 2. Click on the “Movies” tag on the sidebar, and your videos would be listed on the right part of the program. 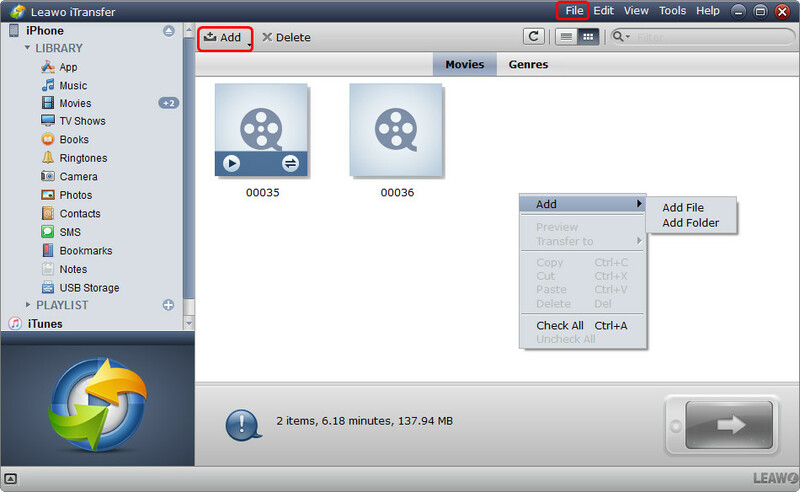 Click Add>Add File/Add Folder on the top left of the file list or click File>Add>Add File/Add Folder on the menu bar to add the downloaded YouTube MP4 video to the program. 3. 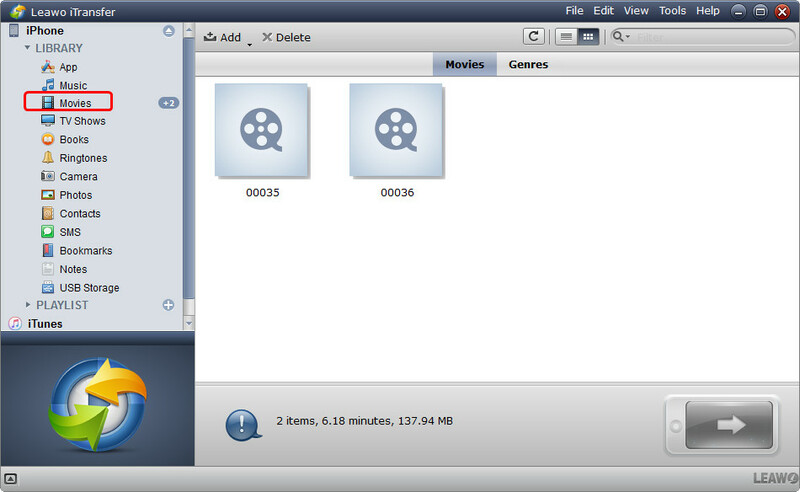 After adding the files to the program, the YouTube MP4 videos would be transferred to your iPad automatically. Another option for people to download YouTube videos on iPad is to use the YouTube Downloader for iPad. There are such apps available on App Store. 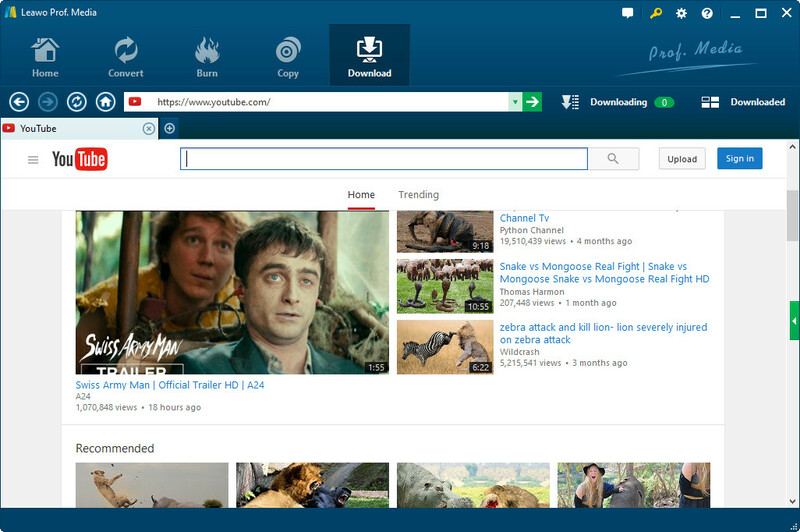 Below are several YouTube Downloader for iPad that have been receieving positive reviews from users. Buzz Tube comes with a straightforward and user-friend user interface. And the video streaming speed is super-fast. 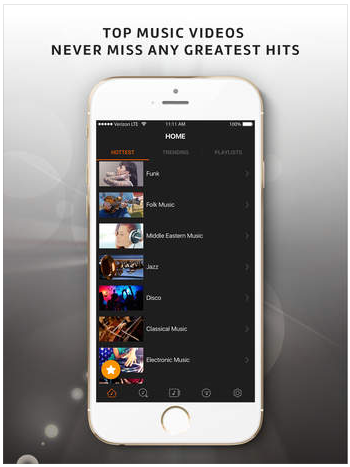 Free Music is an awesome app that allows you to listen to millions of songs on YouTube as well as stream and watch videos on various online video sharing websites like YouTube, Dailymotion and Vimeo for free. Video Tube Free is capable of streaming and watching all online videos from famous websites like YouTube, Vimeo and Dailymotion. 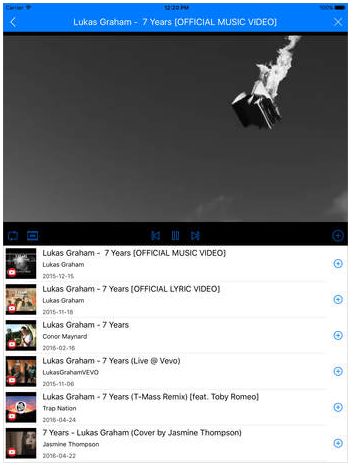 You can search and watch different kinds of videos easily and check out the comments, related videos and more on this app. Snap Tube is an app that can help you explore all the YouTube videos and stream them to your iPad with ease. 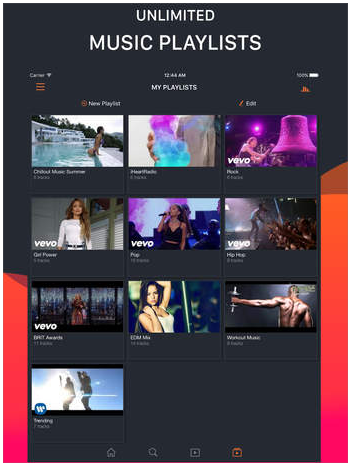 VidMate helps you stay updated to the latest released music. You can listen to the new music every day, search and discover new hits in YouTube. Also you can choose to stream them to your iPad. Above are all excellent YouTube Downloader for iPad. With them you can easily learn how to download YouTube videos on iPad, or even download YouTube to iPad. 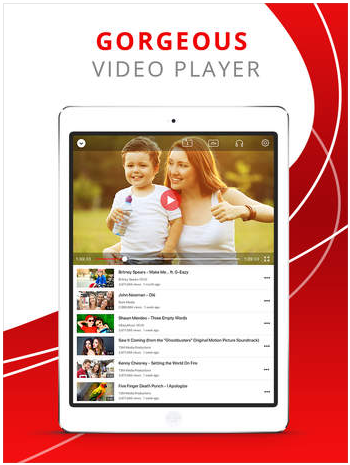 Hope you can find the most suitable YouTube Downloader app for iPad.